Listen, hacking is serious business. You thought you could question the lifestyle choices of that one Yu-Gi-Oh! forum moderator’s mother that one time, but little did you know he’d spend the next three evenings finding a way to operate your PC’s disc tray remotely. In, out, in, out… that’ll teach you! Yes, cybercrime truly is the most terrifying of all the criminal acts, which is why it’s so important for art to hold up a mirror to society and demonstrate what hacking really means; offer a chance to explore it in a safe environment like the sequel to a flawed Ubisoft open-world action game. 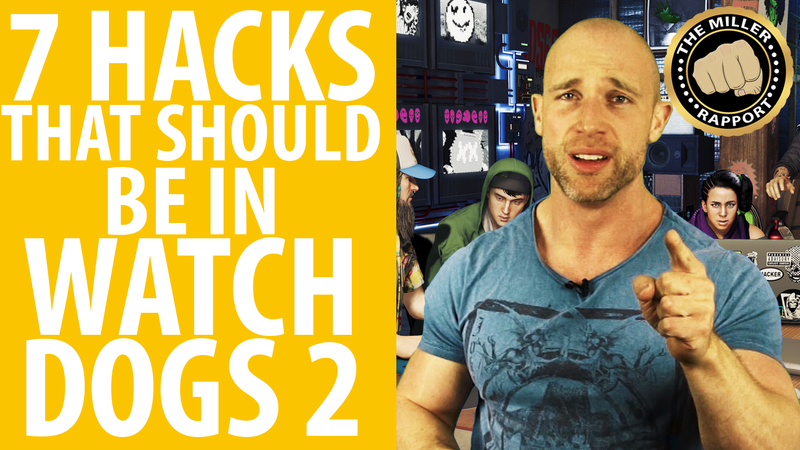 But does Watch Dogs 2 get hacking right? Can you hack into your own phone and make it explode to invoke a form of corporate insurance fraud that Miller hasn’t fully thought out? Can you hack the postal service and send Star Trek convention tickets to a Star Wars fan, for reasons that remain your own? Did someone say Star Wars? Check out the best Star Wars games on PC. No, you can’t. Of course you can’t, and that’s obviously a massive failing. Because… er… well, it was all so clear in our heads when Simon Miller was saying it, bearing down on us with that imposing frame. Now when we say it aloud it sounds almost silly. Cast your eyes on the above video to have Miller force it to make sense to you too. If you like that experience,stop byThe Miller Rapport’s Patreonpage to help Simon keep making great vids like this. And why notsubscribe to PCGamesN on YouTubetoo? You’ll get more vids like this, plus some that are absolutely nothing like it.